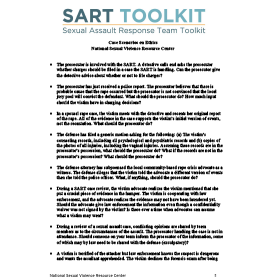 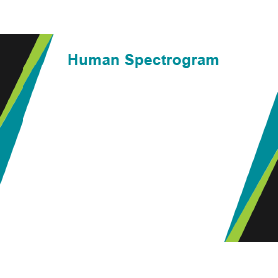 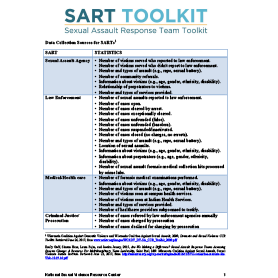 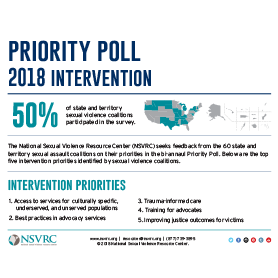 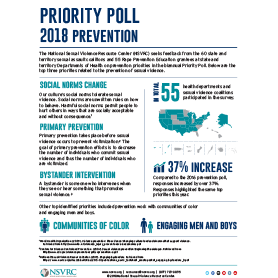 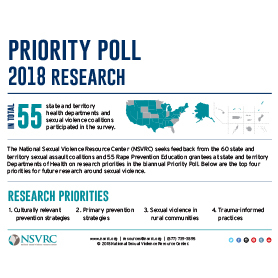 Description These sample scenarios on ethics give sexual assault response teams an opportunity to discuss potential situations they may experience. 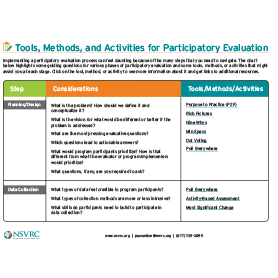 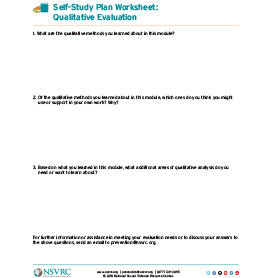 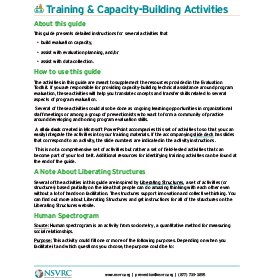 Description This worksheet provides questions to reflect on the Self-Study Plan on Qualitative Evaluation, and is part of the Evaluation Toolkit. 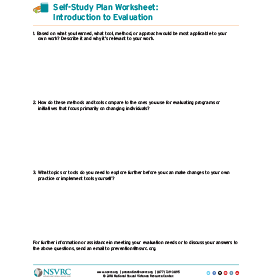 Description This worksheet provides questions to reflect on the Self-Study Plan: Introductions to Evaluation, and is part of the Evaluation Toolkit.